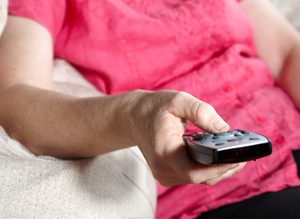 The global mortality burden of physical inactivity — more than 5.3 million deaths a year — is similar to the 5 million attributed to cigarette smoking, researchers found. On a global scale, physical inactivity was associated with 6% of the incidence of coronary heart disease (range 3.2% to 7.8%), 7% of type 2 diabetes incidence (range 3.9% to 9.6%), 10% of breast cancer incidence (range 5.6% to 14.1%), and 10% of colon cancer incidence (range 5.7% to 13.8%), according to I-Min Lee, MD, of Harvard Medical School, and colleagues reported online in The Lancet. Physical inactivity was defined as activity levels below World Health Organization recommendations — less than 150 minutes/week of moderate physical activity, such as brisk walking. Burden of physical activity measures were acquired through several large cohort studies throughout the world using input from the Lancet Physical Activity Series Working Group, including data on prevalence of physical activity at baseline and incidence of death and relevant non-communicable disease. Those data were then used to determine the population attributable fraction (PAF) by country, by region, and globally for coronary heart disease, type 2 diabetes, breast cancer, colon cancer, and all-cause mortality. Gains in life expectancy were based on inversions of median relative risks of all-cause mortality by country, by region, and globally. The researchers found that by eliminating inactivity globally, the world’s population would gain an estimated median 0.68 years in life expectancy (range 0.41 to 0.95), and that inactivity was tied to 5.3 million of 57 million deaths around the world in 2008. The researchers commented that complete, global elimination of inactivity was unlikely, but with a 10% or 25% reduction in global rates of inactivity, an estimated 533,000 and 1.3 million deaths, respectively, due to all-cause mortality would be prevented. Lee and colleagues noted that “removal of physical inactivity had the largest effect on colon cancer, and the smallest on coronary heart disease, in terms of percentage reduction,” but that the number of coronary heart disease cases prevented would be greater due to higher global incidence. The study was limited by use of an adjustment factor to estimate prevalence of physical inactivity, lack of research into additional non-communicable diseases related to inactivity, and lack of distinguishing patients who were physically incapable. Lee and one co-author were supported by a grant from the National Institutes of Health. One co-author received support from the Louisiana Public Facilities Auhtority Endowed Chair in Nutrition. Lee IM, et al “Effect of physical inactivity on major non-communicable diseases worldwide: an analysis of burden of disease and life expectancy” Lancet 2012; DOI: 10.1016/20140-6736(12)61031-9.